Back in 2017, I purchased a vintage Hermes scarf while I was in Nice and wore it as a hair accessory on the trip [I wore it in this post]. I thought it was so so cute and perfect for travel because, to be honest, when I’m traveling, I don’t want to fuss over my hair everyday. 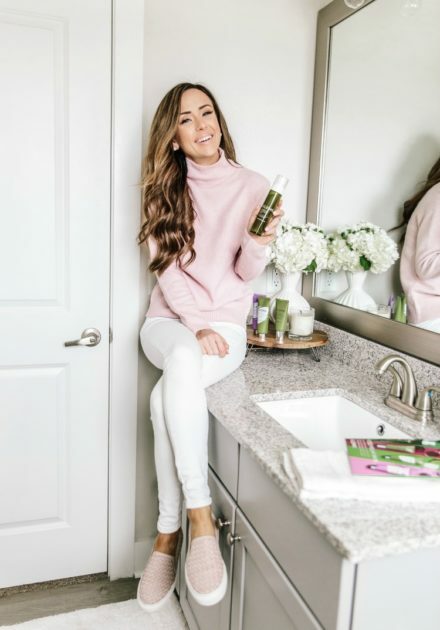 Since I wear a lot more hair accessories in the Spring, especially for Spring & Summer travels, I thought it would be fun and helpful to roundup my holy grail hair care products, as well as the hair tools I’ve been loving lately, and accessories that’ll add the little perfect to those outfits that just scream Spring! Be sure to follow along on my Spring travel over the next few weeks for more scarves and head wraps! What are some of your favorite hair products? I’ve been loving silk hair accessories lately, and this one you can just put right in your hair without worrying about styling or knotting it! I’m obsessed with this texturizing spray! It makes curling and styling so much easier. How cute are these pearl hair clips! These would be great if you’re looking to accessorize but not too much! This lightweight detangler also conditions and nourishes for silky smooth locks! The higher the hair, the closer to God! I love this teasing comb for giving my hair that little extra oomph! Another great silk accessory where you don’t have to do much work to make it cute! Love this scrunchie with the built in scarf! This Dyson hair dryer is an investment, but honestly worth every penny! These hair clips work really well if you’re just holding your hair back while you put on makeup! No creases! This blend of oils helps nourish, hydrate, and add shine to your hair! This is my all-time favorite dry shampoo! I’ve tried a lot of them, and this is the best. Keep hair strong and silky with this damage control spray! If it takes forever to dry your hair, grab this quick-drying hair towel to soak up some of the water before you start drying it! I love these velvet scrunchies, and they come in a pack of five for under $10! My holy grail hair spray for the last 12 years! This is such a great curling wand for beachy waves! This is the best detangling brush! You can use it on wet or dry hair. This product strengthens your hair from within, which helps reduce breakage and improve its look and feel. I love these snag-free clips for holding back pieces of hair while I curl sections at a time! Love ♥️those cute hair clips, such a beautiful look to accent the hair. Lovely products! I never gave much thought to my hair but lately, I’ve been loving to see hair accessories and I’m thinking about getting a couple because I have shorter hair and sometimes it’s not easy to find cute hairstyles so hair accessories definitely make the most basic and easy hairstyles interesting and beautiful. In case you didn’t know, I don’t think Kerastase is cruelty free. Yes, I know. Thank you! Are your products available in south Africa?